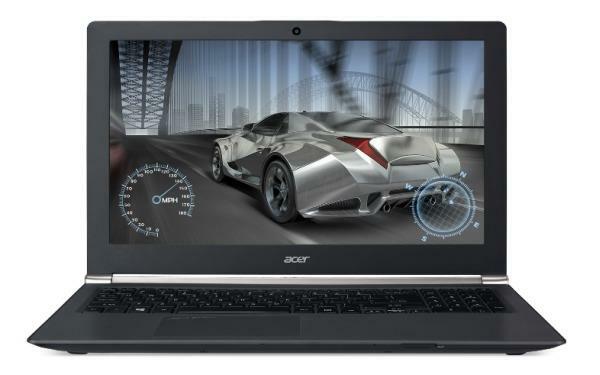 The Acer Aspire V15 Nitro Black Edition VN7-591G are based on the upper-mid-range Nvidia GeForce GTX 860M 2GB dedicated video card, paired with the speedy i7-4710HQ quad-core processor. For audio experience, the Nitro notebooks include four speakers enhanced by Dolby Digital Plus Home Theater surround sound technologies. Other notable features are a 720p web camera, Wi-Fi 802.11n wireless, Gigabit LAN, Bluetooth, HDMI video out, three USB 3.0 ports, and a media card reader. The following drivers and software are compatible with your Acer Aspire V15 VN7-591G and the operating system Microsoft Windows 8.1 64-bit.